Nonprofit Hospitals: Will Margin Change Mean Mission Change?  - ONRAD, Inc.
17 Jun Nonprofit Hospitals: Will Margin Change Mean Mission Change? HealthLeadersMedia | What is a nonprofit hospital or health system? For now, the definition is disarmingly simple. It doesn’t return its profits to shareholders; instead, it is largely free to use its margin for pretty much any other legal reason. In the spirit of their federal, state, and local tax exemptions, nonprofits are supposed to use their margin to invest in new facilities, technology, and programs—basically anything that will help improve the health of the communities they serve. But based on current regulatory requirements, at least at the federal level, those that violate that spirit are tough to spot, and at this point, little is done to police those violators, simply because the threshold for proving nonprofit status is so low. The trump card for most hospitals and health systems has recently hinged on the fact that they provide free or reduced-cost treatment for the uninsured. In some areas, those costs can be huge, eliminating margins. In others, that burden is substantially less. Free or highly reduced-cost treatment of the uninsured has long been one of the major linchpins argued as justification for generous tax breaks—on federal, state, and local levels—that nonprofit hospitals and health systems receive. But it’s not as simple as it used to be to identify an entity as nonprofit. Many nonprofit hospitals have dozens of for-profit joint ventures, for example. Further, regional disparities, including the coverage of the undocumented uninsured, will be magnified under reform at some organizations, while others will see much of their uninsured burden greatly reduced, adding to the unfairness of a one-size-fits-all definition of nonprofit status. Various programs have been implemented to bridge the gap for hospitals that treat more of the uninsured through the federal section 1011 program, through disproportionate-share funding or other methods, but such programs are limited, and closing the gap is currently imprecise. It can be difficult to distinguish between for-profits and nonprofits. Both have to treat the same population in emergency situations. With few exceptions, both provide a sliding scale of payments to help people without insurance pay for their care. Both must make a margin or profit to fund capital improvements and rising labor costs. But right now, requirements for maintaining at least federal nonprofit status are generous. Hospitals are required to file forms with the IRS that detail their community benefit spending, but no arbiter at that or any other government agency makes taxation decisions based on those filings. The big question is whether governments will eventually declare victory over the uninsured and force formerly nonprofit hospitals and health systems to begin paying taxes from which they were formerly exempt. If that were to happen, former nonprofits would likely begin cutting services that lose money, such as obstetrics or psychiatric care. Indeed, many hospitals have cut these services already, presumably because of that fact. With the passage of the Patient Protection and Affordable Care Act last year, the biggest portion of the uninsured will eventually be covered at some level by 2014. But according to Tom Nickels, senior vice president of federal relations at the American Hospital Association, the argument that coverage of the uninsured should force a thorough reexamination of nonprofit status, at least at the federal level, is a big leap. So many questions remain unanswered, he argues, including most notably the level of reimbursement for the currently uninsured.